Home News & Events How does selling your car to a dealership work? When it's time to let go of your old car, there a number of different ways to go about it. You might look conduct a private sale, list it for auction or sell it to a dealership. If you're looking for an easy, low-pressure sale, your best option is to talk to a dealer. Let's look at why dealerships are a great option and how the sale process works. Why sell your car to a dealership? You need a quick sale: Maybe you're leaving the country or have a tight deadline to rack up some cash. A dealership sale is typically very fast and straightforward. The dealer will happily manage most of the logistics for you, so you can get on with your life. You can't sell the car privately: Private buyers are usually looking for a car they can drive and will get some long-term use out of. If your car is in poor shape, you might struggle to sell. A dealer may be more willing to take the car off your hands as scrap, or go to towards your trade-in. You're buying a new car at the same time: If an upgrade is on the cards, trading your car in for a newer model can kill two birds with one stone. You'll score a cheaper price on your next car, minimise the stress of trying to find a buyer and walk away with everything sorted. It's clear looking at these reasons alone that the most significant benefits of selling to a dealership are ease and speed. The whole transaction can be as quick as a business day – or even faster if you're well-prepared. Whether you're upgrading or just selling outright, a dealership can help you have it sorted in one visit. A dealership representative will make the sale of your car as easy as possible for you, but before you arrive on the lot, there's a few things to make sure you've done. Here are our tips for a simple, easy car sale. 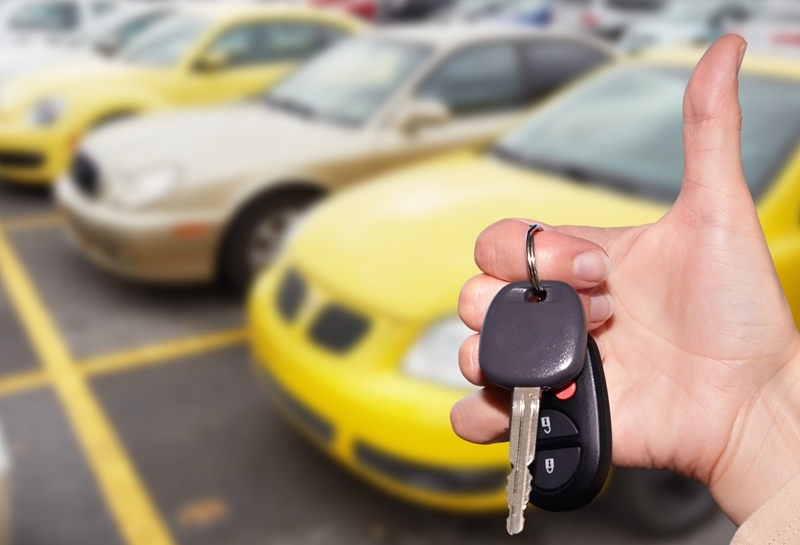 Looks can have a pretty significant impact when selling a car – even to a dealership. Give your car a wash both inside and out before you try to sell it. Don't worry about minor cosmetic repairs – these little things can cost more than you'd make back in the sale of your car. Just ensure the car is vacuuming, washed and maybe freshly waxed! If you have an outstanding loan on the car, you'll need to decide how you'll manage that. Many dealerships will still be happy to buy financed cars, but you should know what you want from the trade. For example, if you're upgrading the dealer might be happy to incorporate the terms of the loan into the finance of your new car. Otherwise, if you owe a dealership more than they're willing to pay for the car, you'll need to be able to pay off the difference. On the flipside, if they'll pay more than the outstanding loan, the dealer will pay you. Contact your finance provider to find out how much you still owe and bring any relevant paperwork with you to the dealership. A dealership representative will look at your car and present an offer based on its condition and the type of transaction. Finally, it pays to understand what will happen when you arrive. A dealership representative will inspect the car you'd like to sell. They might ask to take the car for a test drive to ensure it's fully operational – just as you would as a buyer. It's equally normal for the dealership to run the registration through a database to ensure the vehicle is rightfully yours to sell and has no glaring issues. The dealer will present you with an offer depending on the condition of the car and whether you're buying a new one in the same transaction. Trading up will often get you a better price for your old car. Feel free to ask any questions you have about the offer – all good dealerships today will emphasise transparency to ensure you're comfortable and confident. Once you've accepted an offer, the dealer will handle most of the paperwork but may ask you to provide some if necessary. This process should be relatively hands-off for you, and you may be able to walk away the same day having completed the transaction. If you're looking to trade in your old car, be sure to contact the team at Macarthur Automotive Direct for great service and even better deals.